Material: plywood, laminate, Tempered glass. Service: bubble tea, coffee, juice and more. Accessories: lightbox, sticker. led light strip. When you see this kiosk first eyes, you will notice it’s very modern and exquisite. 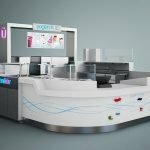 the whole kiosk mainly tone is white and black, the surface art glass and acrylic strip in light decoration, four sides install glass panel, the surface is many cups shapes showings. 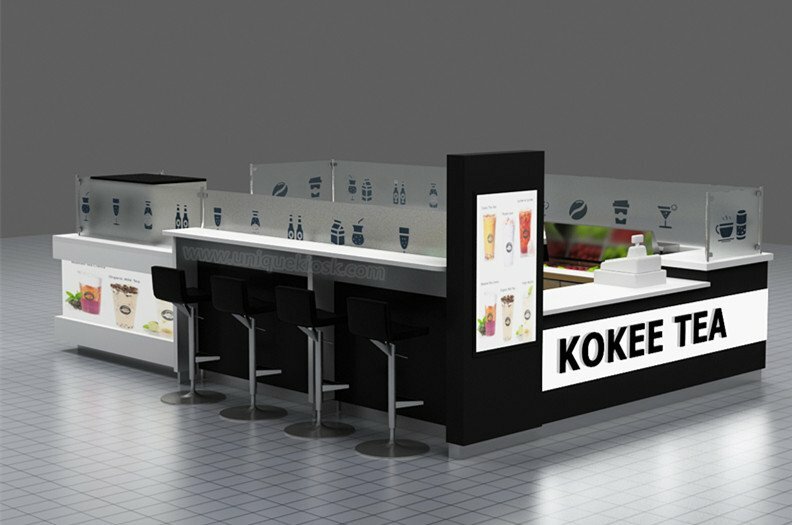 The left side of the whole kiosk is opening, here have a small cashier counter and menu lightbox, the customer can direct order on there. the front part is a big freezer for put fruit. the back sides of this kiosk mainly for clean. 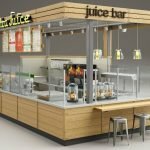 you can see here have many stainless steel sinks, Points cup machine, and a big juice machine. the bottom of the whole kiosk is stainless steel skirting. 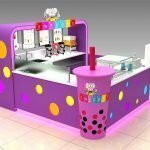 Thanks for your time and reading, if you’re interested to start your own bubble tea store. 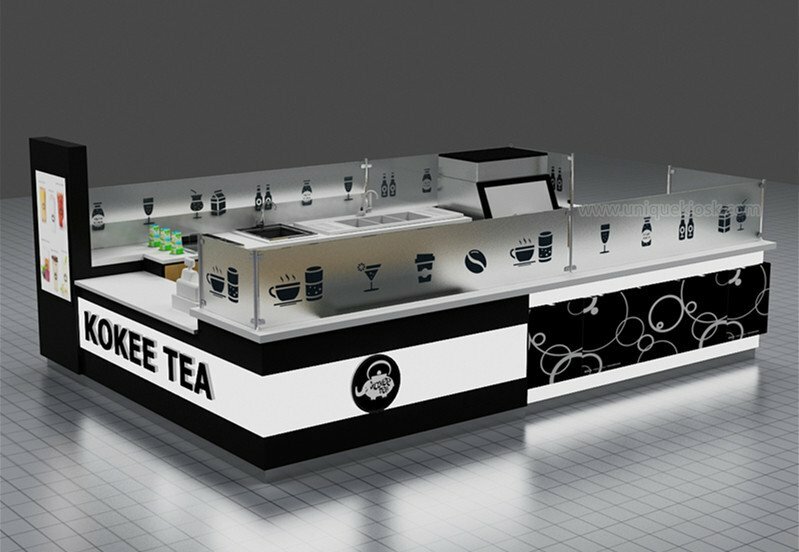 or wanna get further info, more related design also can check our bubble tea kiosk page, welcome inquiry!